Oh lord, after 18 hours I thought this bickering had stopped, but now it continues. You've stated your cases, and nobody's convincing anyone else. Move on please. If you're going to persist, please trim your quotes down so we don't get a wall of text with every reply. Edit: I have failed, apparently. Given the development pace, results so far, and safety record, Branson could use the criticism. Some programs get into trouble because they go too fast. VG is going both too slow (in calendar time) and too fast (in terms of tests b4 regular service). This is not concern trolling - this is straight out saying it is not a healthy program, and it originates from the the top. The exaggerated PR is a symptom of that. Your statements seem unsupportable to me being as you don’t have an insiders view on the current state of the program. All you are doing is recycling things that have already been well discussed on here. I don’t see what’s productive or useful about doing that at this point in time. To me it smacks of criticising for the sake of it. They are supportable by the lack of change in Branson's behavior. The test program seems artificially short, limited by his desire to ride the Apollo launch date. And while this was discussed before, it is certainly not conjecture - it is right out there for everyone to see. Look at BO. They flew 10 times already, faster and higher than VG did - and are still testing. I think they are moving too slow in tempo, but they are certainly being methodical about the testing program. Thanks for the self mod attempt, ChrisC. Yes, you guys know better. Stop. Especially the deep nest of quotes.. .don't go 3 or 4 deep as a regular practice is my advice. 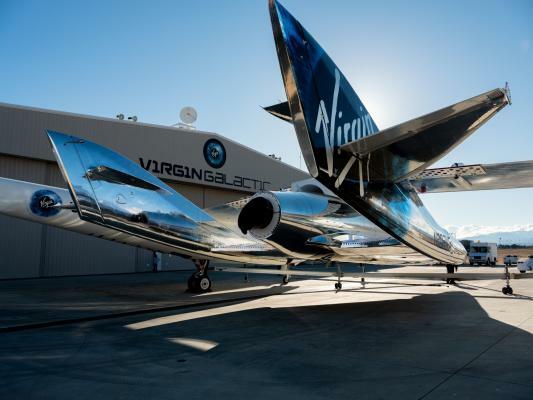 Branson said the next test flight of SpaceShipTwo was planned for Feb. 20. Still on for tomorrow or has it already been subject to Branson time? I'm with you. The best 'roller coaster' rides out there! Virgin Galactic’s historic, first spaceflight, was a wonderful way for our dedicated and talented teams to close 2018. But now, with the rocket motor from that flight on show at the Smithsonian National Air and Space Museum and our first space pilots proudly wearing their FAA Commercial Astronaut Wings, we are getting ready to return VSS Unity to the black skies. Although we passed a major milestone in December, we still have a way to go in testing the many factors that can affect a flight. So, for this flight, we will be expanding the envelope to gather new and vital data essential to future tests and operations, including vehicle center of gravity. We are proud to be flying NASA Flight Opportunity program research payloads again. The spaceship will be a little heavier than last time, and very close to a full commercial weight. We are now at the stage where we can confirm some of the aspects of the customer cabin and this will be a continuing theme as we enter this final stage of flight test. It is of paramount importance to our future business success that we not only give our future astronauts a safe ride, but an experience which exceeds expectations. We know, as part of a Group that has led the way in commercial aviation customer experience, cabin design is fundamental to that objective and so this element is an integral part of our flight test program. As we prepare for this next flight, we do so with meticulous care and great attention to detail. As always, there are no guarantees that everything will go to plan or work perfectly and the team’s overriding priority is always to bring crew and spaceship home safely. Whether we complete all our objectives during the next flight or not, we remain committed to completing the final stages of flight test as quickly, but more importantly as safely, as possible. Just over two months since its first venture to suborbital space, Virgin Galactic’s SpaceShipTwo is set to fly again and test four NASA-supported technologies. The flight, taking off no earlier than Feb. 20, is the company’s second mission for NASA. The planned experiments cover a range of research areas, from life support systems to electromagnetic fields. Most of the technologies flew onboard SpaceShipTwo in December 2018 and, more recently, two launched on a Blue Origin rocket. Regular access to reduced-gravity lets researchers collect data needed to mature their technologies for use in deep space. The photo (Credit: Virgin Galactic) shows the NASA Johnson technology payload being loaded into Virgin Galactic’s SpaceShipTwo on Dec. 13, 2018. The payload will fly again on the winged spacecraft’s second flight to suborbital space. AccuWeather forecast for #VirginGalactic #SpaceShipTwo flight test in Mojave on Wednesday Feb. 20. Mostly sunny 32 F (0 C) when window opens at 7 am w/ winds at12 mph (19.3 k/ph). Temp & wind will rise by noon to 46 F (7.8 C) & 18 mph (29 k/ph). Typical Feb day in High Desert. I take it this one won't actually go into space either? Virgin Galactic SpaceShipTwo launch scrubbed due to high winds. Now slated for Friday, Feb. 22. Our test flight window opened this morning, but the Mojave weather isn’t cooperating. We plan to try again in the next few days. We’ll keep you posted. So what kind of winds does it take to ground this thing? Looks like 40-60 knots aloft over Mojave this morning.